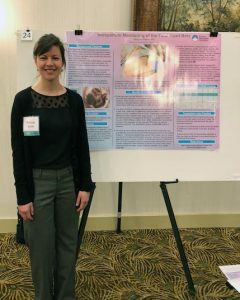 Three students from EMU Lancaster’s RN-BS in Nursing program were selected to present their research at the annual Wellspan Health Collaborative Evidence-Based Practice and Nursing Research Conference April 19, 2018, in York, Pa.
Brianna Shenk with her research on intrapartum monitoring of the fetal heart rate. Angela Barlow: Ventilator Associated Pneumonia: Battling a Pervasive Problem. The research was part of a required evidence-based practice capstone project that includes an extensive literature review and dessimination of the findings in a setting or situation where health care services are provided, according to Nancy Wise, assistant professor of nursing and RN-BS in Nursing Lancaster location coordinator. “Besides meeting course requirements, the poster development also helps Registered Nurses meet clinical ladder and professional practice requirements in their healthcare institutions and they become eligible for promotion,” Wise said. 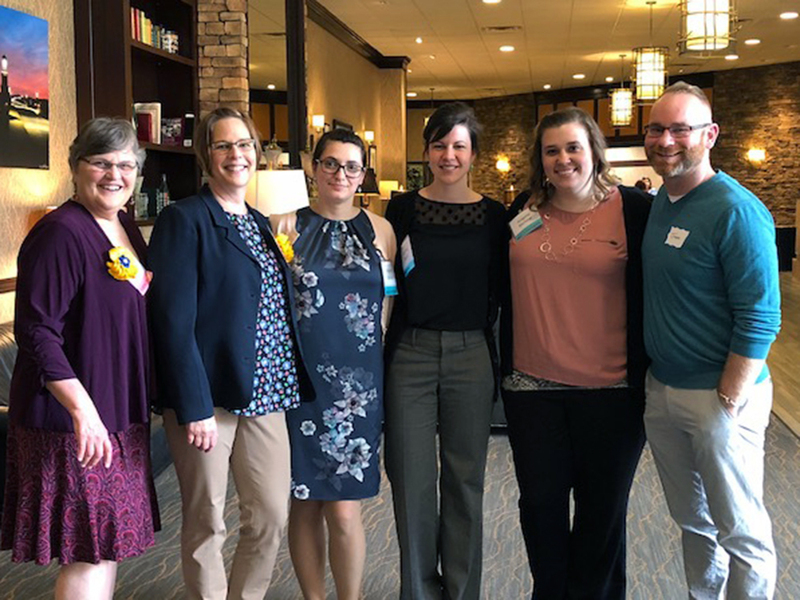 Approximately 300 healthcare professionals attended the conference, which included EMU as a collaborator for the first time. Learn more about EMU Lancaster’s RN-BSN program.